Passionate, prolific, and complicated, composer David Lang embodies the restless spirit of invention. One of America’s most performed composers, Lang is at the same time deeply versed in the classical tradition and committed to music that resists categorization, constantly creating new forms. Many of his works resemble each other only in the fierce intelligence and clarity of vision that inform their structures. His catalogue is extensive, and his opera, orchestra, chamber and solo works are by turns ominous, ethereal, urgent, hypnotic, unsettling and very emotionally direct. Lang is the recipient of numerous honors and awards, including the Pulitzer Prize, an Academy Award and Golden Globe nominations, Musical America’s Composer of the Year, Carnegie Hall’s Debs Composer’s Chair, the Rome Prize, the BMW Music-Theater Prize (Munich), and grants from the Guggenheim Foundation, the Foundation for Contemporary Performance Arts, the National Endowment for the Arts, the New York Foundation for the Arts, and the American Academy of Arts and Letters. “World To Come” is a composition for voice and solo cello in combination with prerecorded cellos, written in the wake of the terrorist attacks of September 11, 2001. 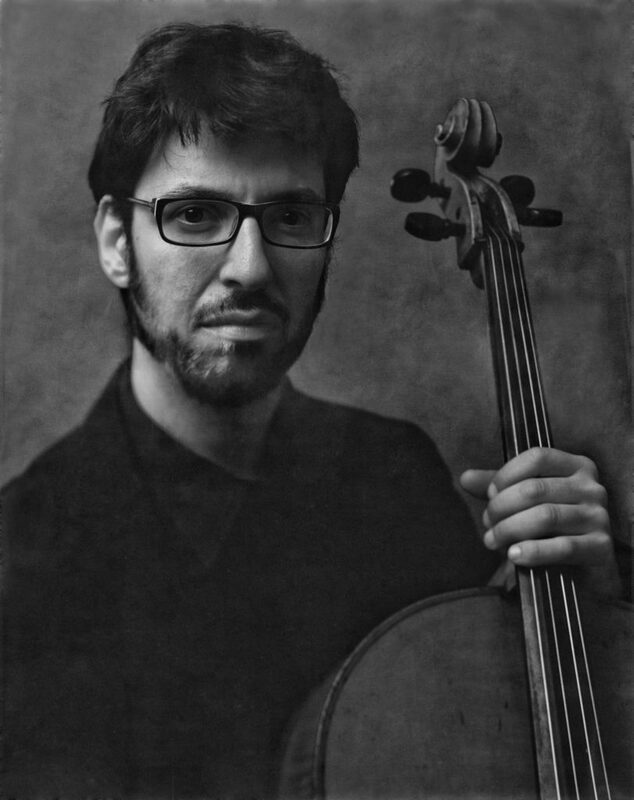 Italian cellist Francesco Dillon (b.Turin, 1973) has become renowned as one of the most adventurous classical performers of his generation, characterised by the originality and variety of the repertoire that he has embraced. His interests and virtuosity span centuries, from early music and landmarks of the classical repertoire to the extended techniques and creative innovations of cutting-edge contemporary composition. In 1993 Dillon co-founded the Quartetto Prometeo and is a member of the Alter Ego ensemble. Dillon’s profound interest in contemporary music has led to collaborations with many of the major composers of our time: Gavin Bryars, Philip Glass, Vinko Globokar, Sofija Gubaidulina, Toshio Hosokawa, Helmut Lachenmann, David Lang, Alvin Lucier, Arvo Pärt, Steve Reich, and Salvatore Sciarrino; as well as with cult experimental musicians such as Matmos, Pansonic, William Basinsky and John Zorn.